We speak of three worlds: devaloka ( world of the celestials ), manusyaloka ( this world of ours ), and naraka ( hell ). The first has nothing but pleasure; in the second it is a mixture of happiness and sorrow; and in the third there is nothing but pain and sorrow. According to our sastras a man who has committed terrible sins goes through torments of hell before taking lowly birth again in this world. 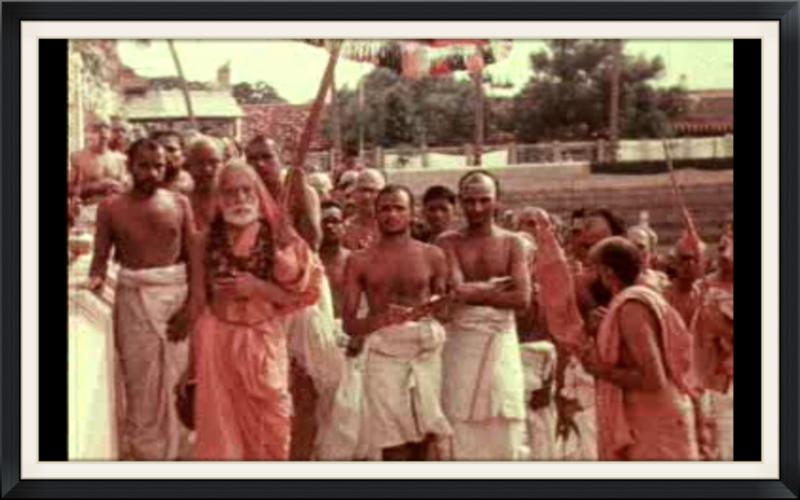 Our sastras also have it that this world of ours is better than the others. How? From here we may make the journey to any other world. If a man is condemned to hell he cannot escape from it and will be forced to stay there until he has paid for his sins. If we go to paradise we cannot extend our stay there however much we may wish to do so. When the fruits of our meritorious acts are executed we will have to tumble down to earth. It is only here that we have some freedom and we may earn merit or demerit by our actions. We may use our hands to perform puja - or we may use them to hurt others. We may sing the praises of Isvara - or we may speak ill of people. We have the power to do good and evil in this world. For each of our faculties of action ( karmendriya ) God has given us this twin capacity. There is not this kind of freedom in the other worlds. Is a cow capable of earning merit? The devas are like cows. So far as the cow is concerned there is neither merit nor sin in its life. On this earth (bhuloka) only those like us human beings can win liberation - we can do so through good actions. Other worlds are like hotels where the denizens eat what we harvest here. There you may enjoy the fruits you have merited here by your actions in proportion to the punya you have earned or the papa you have piled up. Our world alone is karmabhumi (world of works). And even in this world only human beings are capable of thinking and acting on their own. All other creatures live by instinct. Those who live in the other worlds have no right for karma. A man's actions, his works, together with his character, determine his passage to other worlds. Only in this karmabhumi can we perfect our character by performing virtuous acts and thus qualify to go to another world. There is a proper time and a proper place for the conduct of a religious rite. Do you think a sraddha can be performed at midnight? There is a right time for it as well as a proper place. It is in India particularly, that is Bharatavarsa, the Vedic karma must be performed, but even in this land it is not permitted during certain periods. It has to be carried out in hallowed places and during sanctified hours.